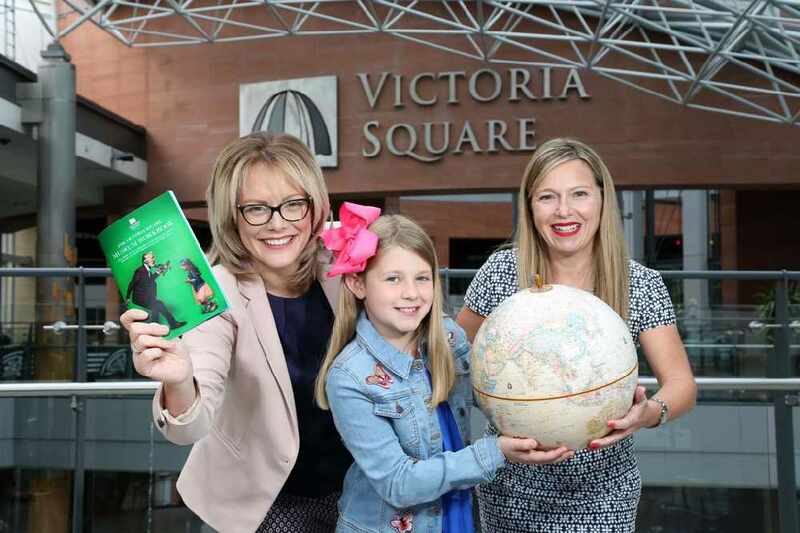 Victoria Square, Northern Ireland’s premier leisure and shopping destination, has proudly partnered with National Museums Northern Ireland to turn the centre into a museum experience for the month of August. Through the innovative partnership visitors will experience multiple themed zones including Transport, Old Belfast, Street Games and a mini ‘Docks in the Dome’. There will also be a craft and skill workshop zone with around 60 free workshops throughout the month hosted by National Museums’ curators and specialist staff. Highlights from National Museums NI’s transport collections will also be on display for the month including a replica Ferguson flyer and the Ulster Prince ship model while a Crossley racing car and the Ulsterbus ‘wee bus’ will also pay visits during the month. Michelle Greeves, centre manager of Victoria Square, commented: “We love to use the centre every August to create an interactive experience as a pre ‘back to school’ day out. Laura McCorry, Director of Public Engagement at National Museums Northern Ireland, said: “This is a new and exciting type of partnership for us which will deliver a highly engaging, museum inspired experience in Belfast City Centre. “Taking highlights from our collections out and about will allow even more people from Northern Ireland and beyond to take part in a wide range of activities that celebrate our traditional skills including weaving, lace making as well as children’s craft activities. The Victoria Square Museum can be visited daily from 1st – 28th August. For more information, visit the official website.